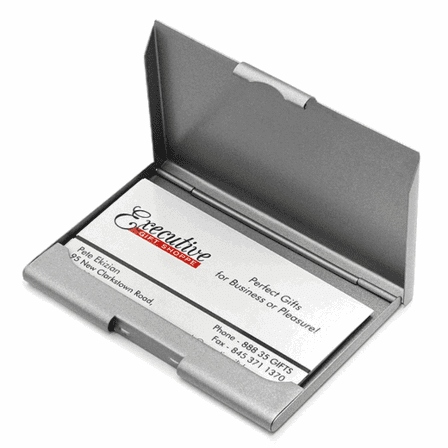 This acrylic coated stainless steel business card holder is laser etched with the phrase "Choose A Job You Love And You Will Never Have To Work A Day In Your Life" as well as up two lines of additional personalization below. 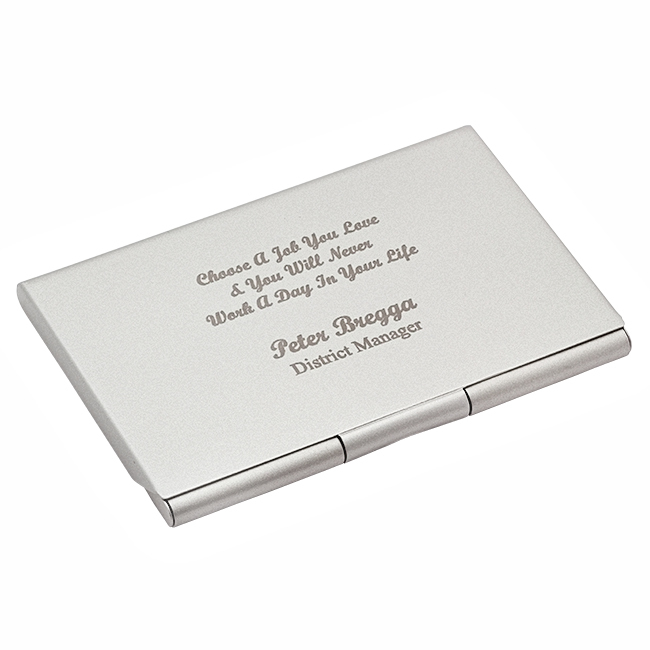 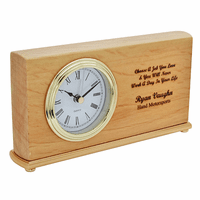 The personalization is done by laser engraving the acrylic to expose the stainless steel underneath. 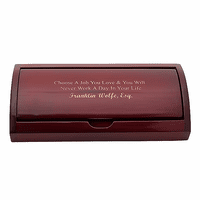 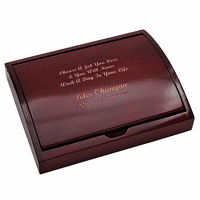 This business card case holds up to fifteen business cards and is ideal for anyonne who just got a new job or was recently promoted to a new position It comes packaged in a gift box and ships out the next business day.